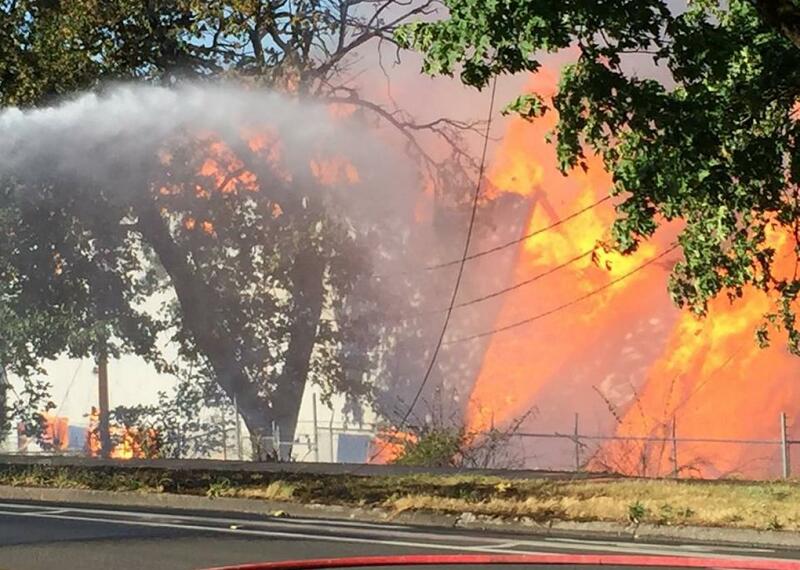 Eugene, Oregon's Civic Stadium has burned down: It was my childhood, and an American relic. 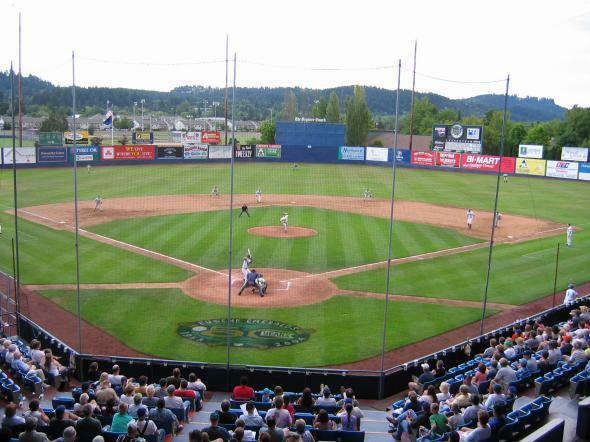 This was Eugene, Oregon’s Civic Stadium, in 2004. Photo by Gregory Miller courtesy user Ghentmills and Wikimedia Commons. 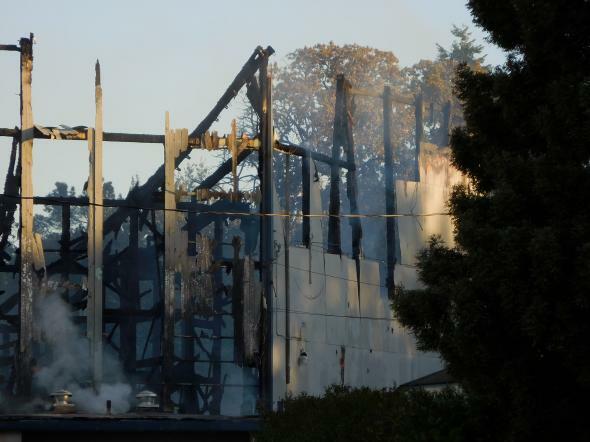 On June 29, residents of Eugene, Oregon watched helpless and aghast as Civic Stadium—a dilapidated, 6,800-seat baseball venue built in 1938, a local landmark as beloved as its future was contested—burned to the ground in a suspected arson. For several hours Monday night, the towering plume of flames and smoke was by far the tallest thing in the city of 159,000 residents and zero skyscrapers, eclipsed only by the picturesque, fir-covered peak of Spencer’s Butte in the background. This was only fitting, given that Civic had anchored its neighborhood for almost eight decades, as an intractable symbol of the great American pastimes—baseball, yes, but also acrimonious conflicts between commercial real estate developers and the longtime residents fighting to keep them out. I grew up about six blocks east of Civic, and its splintering blue and gray stands—and the cheers that rose from them every summer until 2009, when the city’s short-season Class A team, the Emeralds, vacated—color my entire upbringing. There was my 11th birthday, when my friend Amber caught a foul ball. * There was the balmy, twilit walk there and back, which I was allowed to do by myself from the age of twelve—and which I anticipated with equal parts fear and fascination, as on it I would receive the first catcalls of my life. My hometown enjoys worldwide fame thanks to the recent might of its exalted college football team, and before that because of its storied reputation in track and field. But in many ways, thanks to that stadium, Eugene was once a great American baseball town, too. The story of Civic’s construction is certainly one of vintage Americana. In 1938, mired in the Great Depression, Eugeneans voted nevertheless to build themselves a sports venue for the high-school baseball and football teams. True to its name—which never had to be changed to glorify a corporation or donor—it was a real civic project, funded by the WPA and constructed with locally donated lumber. The stadium became the home of the Ems in 1969, and—still official property of the 4J school district—continued to host high-school baseball. During the Ems’ run, the Civic housed Hall of Famer Mike Schmidt and noted bigot and Holocaust expert John Rocker—but of course, most were destined to remain local celebrities only (and, as rumor had it, occasionally the unintended fathers of my pregnant high-school classmates’ babies). Civic’s troubles began six years ago, when the Ems absconded to the University’s up-to-code facilities, and the cash-strapped school district declared the falling-apart landmark a surplus property. Given the property’s prime location near downtown and the university, the future of the stadium became the subject of a drawn-out contest between shopping-center developers, citizens’ groups and the school district, one that lasted until three months ago (and may now be reignited, as it were). At one point, all proposals for transforming the property—worth an estimated $5 million (but needing an estimated $10 million in renovations to become a functioning stadium again—were thrown out). Every year until the Ems left, the July 4th home game at Civic would be followed by what passed, in a small town with stringent fire restrictions, for a spectacular fireworks display. The stands would be packed, as would every playing field behind the adjacent high school. Some summers, my family and I would climb onto our roof, where we would have an excellent view of the whole show; red, white and blue explosions would echo and reflect off of our streets, the air tinged with smoke. Now, smoke is all that remains. *Correction, July 3, 2015: One of the photos in this article originally showed Portland, Oregon’s Civic Stadium (now called Providence Park). It has been replaced with a photo of Eugene, Oregon’s Civic Stadium. Additionally, an incorrect reference to a “fly ball” has been replaced to reflect that it was a foul ball.